We love sweet treats that are also good for you. These vegan, gluten free and dairy free muffins are great as breakfast, snacks, or a yummy guilt-free dessert. The beets make these muffins both moist and hearty, while highlighting the delicious rich chocolate taste. The beets also add a natural sweetness, allowing for less added sugar to be used! Chocolate and beets both have amazing health benefits. Chocolate is a superfood that is rich in antioxidants and nutrients that improve heart health, and cognitive function. Beets help boost your immune system and fight inflammation. Satisfy your sweet tooth while still giving yourself a nutrient packed treat! I hope you enjoy these tasty muffins! 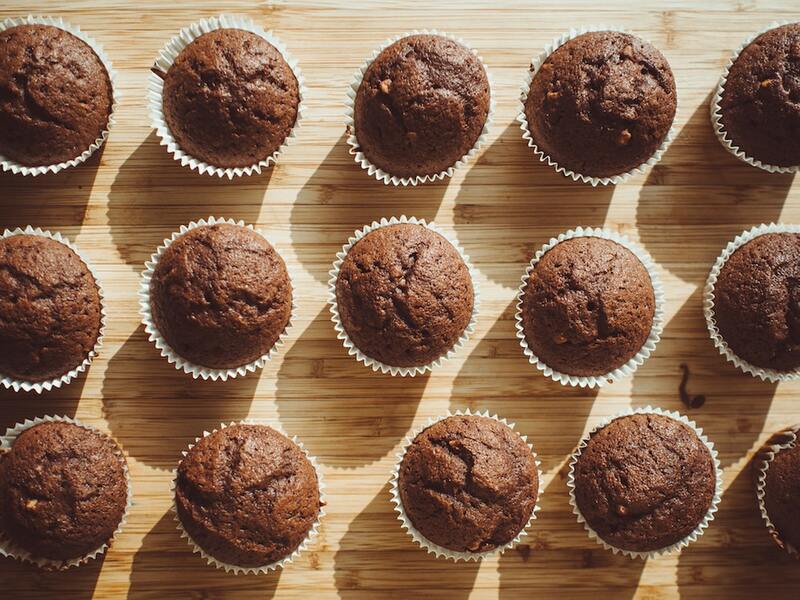 Grease the muffin or mini-muffin pan using the coconut oil. Wash, peel and spiralize the sweet potatoes and beet, then using a cuisinart or processor, pulse until rice-like consistency. In a medium mixing bowl mix together the riced sweet potato and beet, eggs, almond butter, coconut shreds, vanilla, baking soda, salt, cinnamon and maple syrup. Spoon into the greased muffin or mini-muffin pan the mixture. Bake for 10-15 minutes or until cooked through. Allow to cool then serve and enjoy!